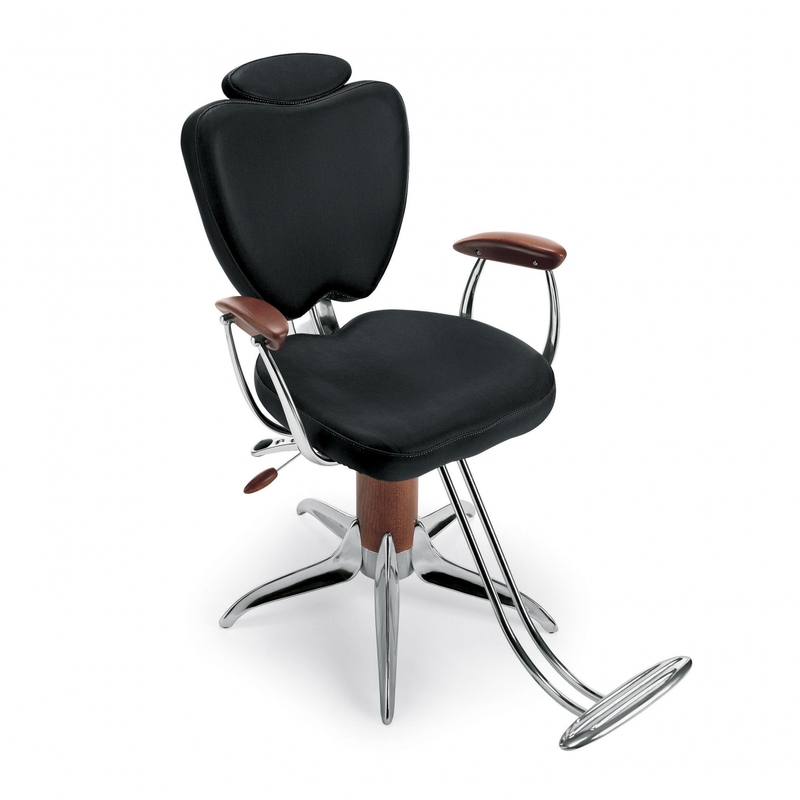 Barber swivel chair with structural frame in polished aluminum. Armrests in varnished solid beechwood. Seat and moveable backrest with double padding in polyurethane material upholstered with vinyl. Supplied with tilting headrest and footrest. Base in polished aluminum with blockable hydraulic pump and wooden shroud. NEWS 2012: available also with glossy black painted armrests and Swarovski crystals decoration for the backrest! Made in Italy.